Sahasratra Dhara, laterally meaning, the 'thousand fold spring' is situated at a distance of 11 kms. from Dehra Dun. 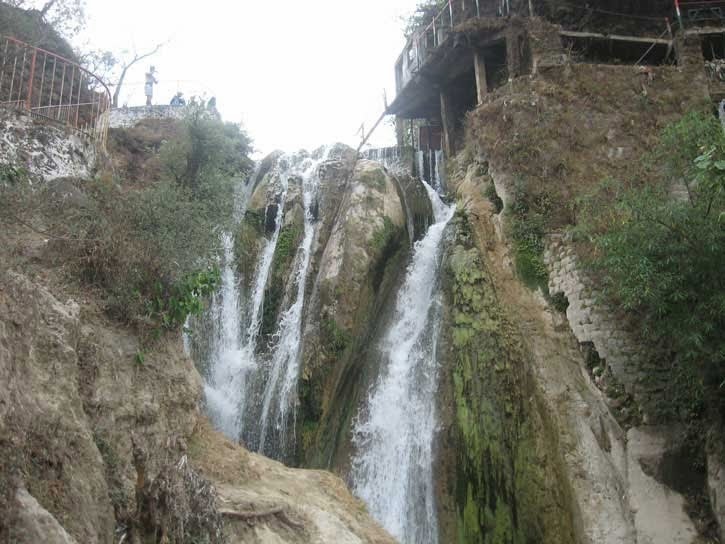 The place makes an ideal picnic spot and is of immense attraction to visitors. The Baldi river and the caves provide a breathtaking view.The water here has a fall of about 9 metres and leaves an incrustation of lime of all its touches. Particles thus accumulating over the centuries have formed a projecting ledge, and a sort of cave, from the roof of which falls a perpetual shower. There is also a sulphur spring in which visitors often take bath. Its water is said to cure skin infections and possess other medicinal properties.